Don Maximiano Errázuriz founded Viña Errázuriz in 1870. With his great vision for the future and his innovative, pioneering spirit, he planted the first French grape varieties in the Aconcagua Valley. His initiative and creativity were handed down to future generations and, in just over a century, his descendants consolidated the winery and positioned their wines among the world's most noteworthy. 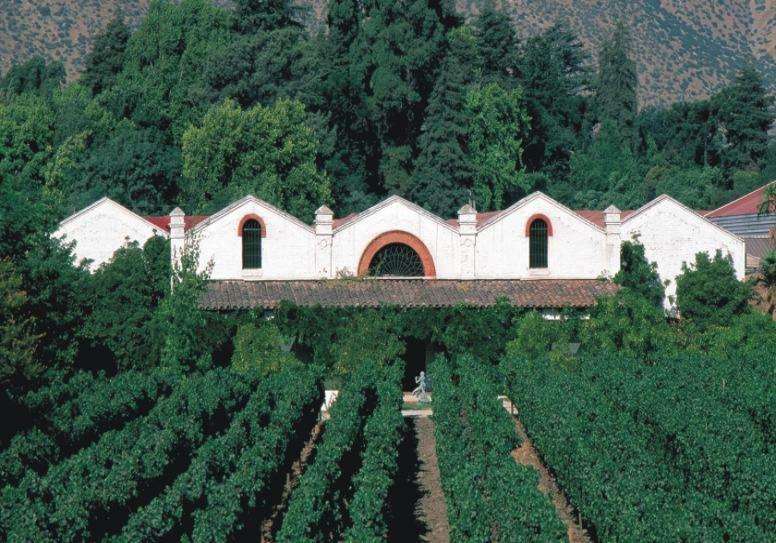 Here, we invite you to get to know some of the main landmarks that have shaped the history of this family vineyard, currently one of the best examples of successful winemaking in Chile. James Suckling 92Linear and focused white with sliced pear and apple character. Medium to full body, honey, mineral and salty undertones. Steely and austere. Serious for the price. Fermented and aged in used barrels. James Suckling 91"Aromas of ripe strawberry and light stone follow through to medium to full body, silky tannins and a fresh, bright finish. Drink or hold." James Suckling 91"A juicy sauvignon with sliced pear and grapefruit character. Some grilled asparagus. Full body, lots of fruit and flavor. You like Pouilly-Fumé? Try this. Drink now. Screw cap." James Suckling 90 A very pretty cabernet with light black currant and fresh flower leaf aromas and flavors. Medium body, fine tannins and a crisp finish. Drink now. Wine Advocate 89 I also tasted the 2014 Cabernet Sauvignon Max Reserva one week after it was bottled, but felt very harmonious. James Suckling 91A fresh and dry carmenere with medium body, firm tannins and a subtle, fruity finish. Drink now.Wine Spectator 89Taut and minerally, with notes of green pepper to the dried berry and red fruit flavors. Accents of dark chocolate show on the tannic finish. James Suckling 93"A dense and rich white with sliced pear, apple and mineral character. Some lemon grass too. Full-bodied, rich and flavorful. Some phenolics give it structure." James Suckling 94 " A gorgeous and refined red with wonderfully polished tannins and texture. Full to medium body, with harmony. Aftertaste of delicate chocolate, light berry, and mineral. Drink or hold. 78% cabernet sauvignon, 10% carmenere, 7% petit verdot, and 5% syrah. " Wine Advocate 92 "